Taken from Applecross side looking towards Plockton after hookup. 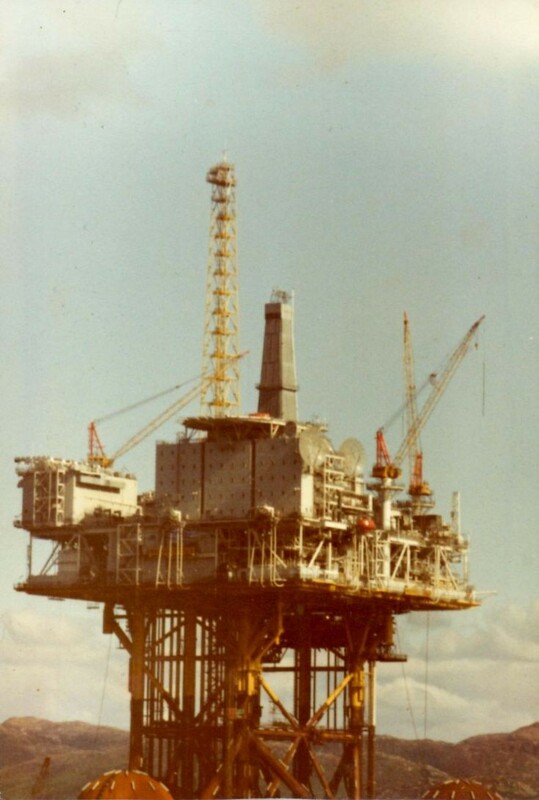 Fond memories staying onsite on 'B'shift and working as a welder on this structure from Nov.1980 & throughout 1981 - particularly on the heli-deck and suspended from scaffolding under the decking welding structural sections etc. Happy days with welder Tam who moved from Glasgow to Banchory, plater Jim McClairemont who I saw whilst on a stag night in Scarborough some years later, and- was it welder big Paul from Duesbury who I used to give a lift to when travelling home to Hull? Also, Barry who lived in Hull. Do you remember lads we used to have weekends away and took Fort William, Nairn, Aviemore and Strathpeffer by storm? And Tam with his guitar getting us a reduced price for our second stay at the Highland Hotel in Inverness ! Added by Malcolm Colverson on 06 January 2016.